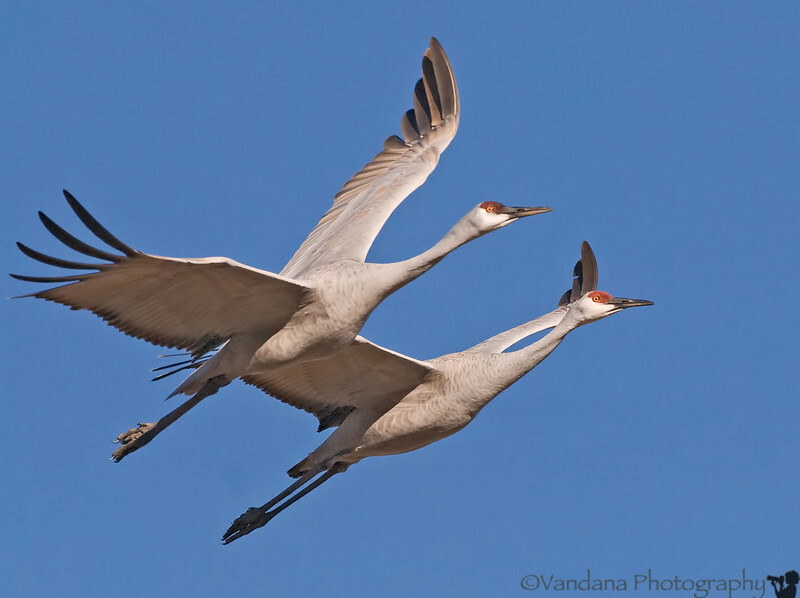 December 25, 2008 - The cranes are flying again ! At Bosque del apache national wildlife refuge. There are 20,000 snow geese and 6700+ sandhill cranes here this week. Fabulous synchoronization and a wonderful shot! What a pair - what a capture! Of the endless in flight captures of your I love so dearly, this one is my favorite so far. My god your amazing!!!!!!!! Awesome catch and such neat perspective! Incredible catch -- must be such a sight to see!